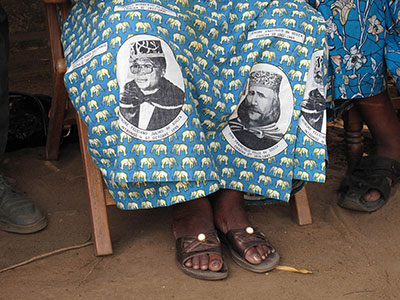 Although Chacha VIII did not have any formal political power, he maintained a certain authority in Ouidah (it was he who enthroned the local family chiefs) and enjoyed prestige in Beninese society. Aside from the Chacha, there is always some member of the De Souza family close to the centers of power. As the bishop of Cotonou, Isidore de Souza was responsible for chairing the National Conference on Invigorating Forces and Renewal of the Nation, guiding the country from a Marxist regime to democracy. 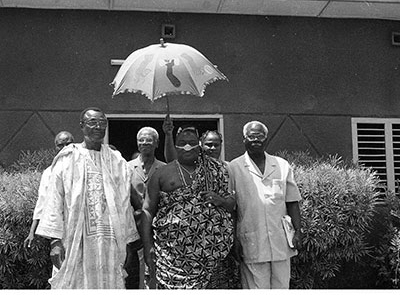 General Mathieu Kerekou, who was the country’s president for 29 years, had two different De Souza wives, and his successors also had Aguda wives: Nicephore Soglo married a woman from the Vieyra family and Thomas Yayi Boni married a De Souza – another indication of the enduring importance of Agudas in Beninese political and social life. As we have seen, by the late 1700s there were already Agudas on the Slave Coast, who were already referred to as such. However, it was only in the mid-1800s that they really grew in numbers, with the return of many former slaves, particularly after the crackdown on the Malê Uprising in 1835 in Bahia, Brazil,8 as a result of which a great many Africans ended up being deported. Upon their arrival, they discovered that their labor was in great demand in that part of Africa, while the labor market in Bahia was not only tainted by the stigma of the uprising, but also swamped by a new wave of Portuguese migrants, increasingly restricting the opportunities for freed Africans. These white man’s manners were actually just the more visible face of a European culture that gradually left its mark on Africa throughout the twentieth century. The returnees – who came to constitute the majority of the Agudas – had assimilated the codes of this culture in Brazil, and although they had lived amongst the common folk, as we will see later on, they certainly modeled their habits on the ruling classes from Bahia. This was translated not only in their dress code, but also in their housing, the way they behaved in public, their diet, their religion, and of course their way of perceiving and viewing the world. These Agudas were not only Africans, they were also “Brazilians,” insofar as they were products of western culture – a culture that went on to dominate Africa in the late 1800s. It would be fair to say that the Agudas were the first to introduce western culture to the Slave Coast. 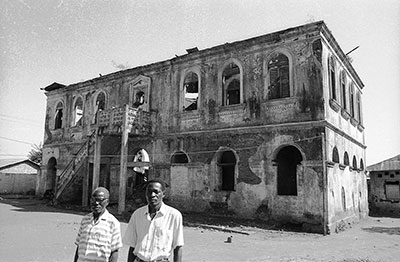 The first church there was built by a returnee, Joaquim de Almeida, known as Joki, who is also believed to have been responsible for introducing manioc to the region that is now Togo.19 And it was also thanks to the Agudas – especially the returnees – that the region gained its first masonry buildings. The first two-story house is believed to have been the home of Chacha I, which was named Singbomey after the word singbo, which means two-story house. The Chacha had another such house, called Singboji, built at the entrance to the palace of King Ghezo in Abomey, which is still standing. The cities along the south coast of Benin – Ouidah, Porto-Novo, Ague, and Grand-Popo – all sport fine commercial and residential buildings in the so-called Afro-Brazilian style, erected between the mid-1800s and the first decades of the twentieth century. 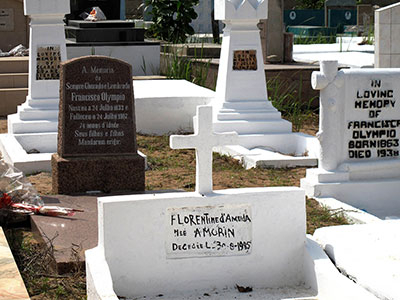 In Ague, which was an Aguda stronghold in the nineteenth century, there is a graveyard where almost all the headstones bear names of Portuguese origin. It is no surprise that the Agudas’ self-representation operates as one of their most explicit identity markers. This can be seen in their habit of hanging portraits of their families’ founders and several generations of relatives on the walls of the reception rooms in their homes. The message seems to be that they were already “evolved” – converted to European culture – before the French colonization imposed the white man’s rules on the whole population. Today, being an Aguda in Benin means sharing a common memory about a set of achievements and a “Brazilian” way of being. In order better to understand this situation, we can divide the process of this social identity construction into three successive periods. The first began when the Brazilian slave traders’ presence on the Coast became more marked, in the early 1800s. After the trade was outlawed, the Bahians installed there did everything in their power to keep it going for a few more years. These Brazilian traders and traffickers were white men who lived according to their own rules and married native women. They maintained trading and political relations with the natives, with whom they mixed to a certain extent through marriage. They were not particularly numerous, despite their great economic and political influence; they made their fortunes and carried on living according to their own cultural norms. These were white men in a black society, their mestiço sons being as similar to their parents as any others, and they were generally referred to as Agudas. The second wave of Agudas came with the influx of Africans returning from Bahia, Brazil, where they had been slaves. Around seven or eight thousand of these returnees set up in the region as of 1835. They were black but they had acquired the “white man’s manners.” They discriminated against the natives, whom they regarded as “savages,” but they themselves were ostracized for bearing the stigma of slavery. The returnee freedmen had a variety of different ethnic backgrounds and the only thing that united them was their shared past in Brazil. In other words, what brought them together was their shared memory of a social experience. This memory was translated into a way of life, a way of being, and especially their professional skills, which were aligned with the new European cultural and economic parameters that were increasingly being imposed on the country. They had European surnames and their model of culture was drawn from their experience of living alongside whites in Brazil. This culture was their biggest boon, allowing them to join forces with the Bahian traders in more modern economic activities. While they initially engaged in the slave trade itself, it was not long before they branched out, developing a range of local and international trade activities and producing and exploiting local resources, like palm oil. To the rest of society, they had the manners of the white man, they passed as catholics, and they spoke Portuguese. As they grew in number, augmented by the native slaves they employed, they gradually acquired a greater weight in the region’s demographic mix. They formed a community of their own, in which the first whites and their mestiço descendants formed a kind of elite. In the second half of the nineteenth century, they constituted a society in their own right that was basically endogamous,21 and built a social identity similar to that of the first Brazilians. This identity was also reproduced in their religion (they were basically catholics, despite mixing it with voodoo worship) and their education. They set up schools where all the children – boys and girls alike – were taught to read and write in Portuguese, as witnessed by Father Borghero, from the Lyon African Mission, while the citizens of Abomey were banned from the classroom. Certain aspects of this second period of Aguda culture set it apart from the culture of the first Brazilian Agudas, the main one being their social function. The Bahian slavers were white, and therefore stood out from the natives, such that they had their own place in the native society. 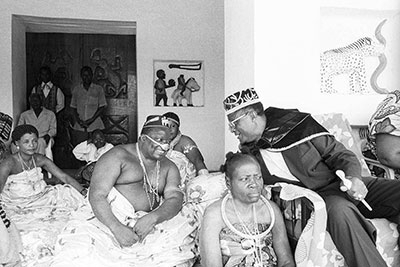 This place was assured them by their economic ties with the king of Dahomey and expressed symbolically by the role of the Chacha and other Brazilian chiefs in the existing power structure. When the freed slaves returned, they found they had to invent a place for themselves in a society where they were not welcome. They did in fact become Agudas, but not like the first Agudas. Aside from the construction practices they brought and their unique means of self-representation, their most visible “Brazilian” identity markers draw on practices more associated with the slaves in Brazil than their masters. Cases in point are the bean stew, feijoada, the festivity of Our Lady of Bonfim, and the Burrinha performances. With this, the initial, essentially European, Aguda culture was enriched with aspects of Brazilian culture – practices developed in Brazil and not taken there from elsewhere. The presence of the French colonizers, who imposed the “white man’s habits” on the whole country, in a way supported the cultural leanings of this generic contingent of Africans who had returned from Brazil. It was at this time that the opposition between notions of “civility/modernity” and “primitivism/savagery” acquired new contours in the former slaves’ interactions with local society. 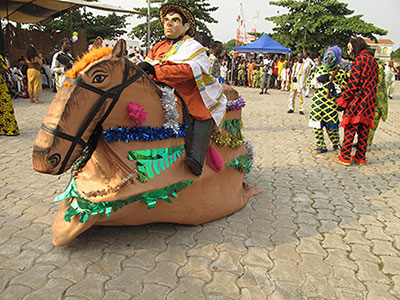 And this brings us to the third stage of the Aguda identity in Benin – the present day. 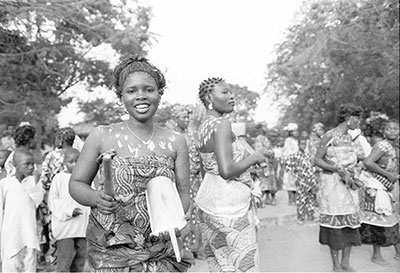 Today, “memory of time spent in Brazil” has given way to “memory of achievements made in Benin.” Just as the first “memory” was designed to give the returnee freedmen a place in local society, the second also has a precise social function. 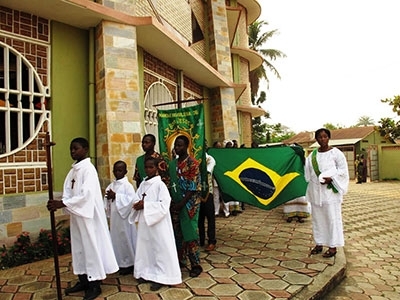 It is by keeping alive the memory of their accomplishments that the “Brazilians” – no longer admitting any past slavery – now defend the legitimacy of their place in Beninese society. The relationship between the Agudas and the French administration took different forms over the years. Initially, the “Brazilians” were allies of the French, for whom they served as intermediaries in their dealings with the natives. However, as the French took control of the country, the “Brazilians” were gradually squeezed out of the most profitable economic activities and some of the most established Aguda businessmen went bankrupt. 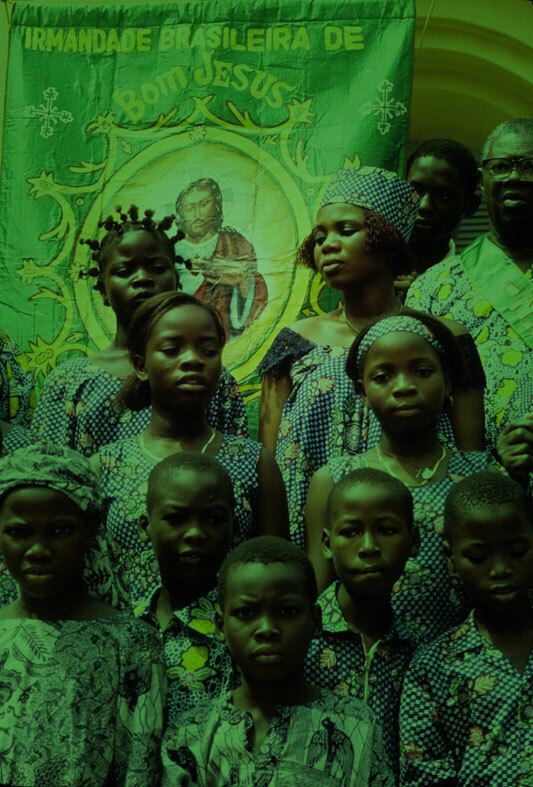 By analyzing the way the Agudas have built their ethnic identity in Benin, we can see how they have made a place for themselves amongst the key players in the stages of transition from traditional society towards a “modern” state. It is from this perspective that the scope of their cultural, economic, and social contributions should be understood. A more comprehensive analysis of the construction of the Agudas’ social identity in Benin can be found in my book Agudás – os “brasileiros” do Benim [Agudas – the “Brazilians” of Benin], Rio de Janeiro: Ed. Nova Fronteira/Ed. Gama Filho, 2000. For more on the Agudas, see ALMEIDA PRADO, J. F., 1954 . “Les relations de Bahia (Brésil) avec le Dahomey”, Revue d’Histoire des Colonies , Vol. XLI, second quarter, pp. 167-226, Paris (republished in Portuguese in Revista do Instituto Histórico e Geográfico Brasileiro, Rio); BRAGA , Júlio Santana, 1968. “Notas sobre o ‘Quartier Brésil’ no Daomé”, Afro-Ásia, 6-7, Salvador: Centro de Estudos Afro-Asiáticos/UFBa; CASTRO, Yêda Pessoa de, 1965. “Notícia de uma pesquisa em África”, Afro-Ásia, n. 1, Salvador: Centro de Estudos Afro-Asiáticos/UFBa; COSTA E SILVA, Alberto da. 1989a. “Os sobrados brasileiros de Lagos”, O vício da África e outros vícios, Lisbon: Ed. João Sá da Costa, pp. 9-12; 1989b. “Os habitantes brasileiros de Lagos”, O vício da África e outros vícios, op. cit., pp 13-18; 1989c. “As relações entre o Brasil e a África Negra, de 1922 à primeira guerra mundial”, O vício da África e outros vícios, op. cit., pp. 25-65; 1994. “O Brasil, a África e o Atlântico no século XIX”, Studia, n. 52, Lisbon, pp. 195-220; 2003. Um rio chamado Atlântico, Rio de Janeiro: Nova Fronteira; CUNHA, Manuela C. da. 1985a. Negros, estrangeiros – os escravos libertos e sua volta à África, São Paulo: Brasiliense; 1985b. “Introdução” CUNHA, Mariano Carneiro da, 1985. Da Senzala ao Sobrado, São Paulo: Nobel/Edusp; FREYRE, Gilberto, 1990 . “Acontece que são baianos”, Bahia e baianos, Salvador: Fundação das Artes/Emp. Gráfica da Bahia [1st edition Problemas Brasileiros de Antropologia, Rio de Janeiro: José Olympio]; KRASNOWOLSKI, Andrzej, 1987. 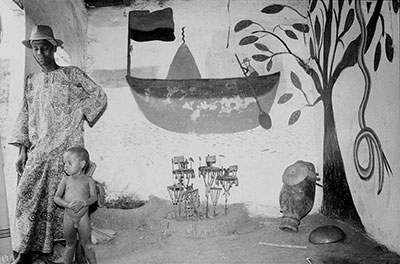 Les Afro-Brésiliens dans le processus de changement de la Côte des Escalves, Warsaw: Ossolineum / Polskiej Akademii Nauk; LAW, Robin, 2004. Ouidah – The Social History of a West African Slaving “Port” 1727 – 1892, Athens / Oxford: Ohio University Press / James Currey; RODRIGUES, José Honório, 1962. “The Influence of Africa on Brazil and of Brazil on Africa”, Journal of African History, III, I (1962), pp. 49-67; ROSSI, David A., 1965. “The Career of Domingos Martinez in the Bright of Benin 1933-64”, Journal of African History, VI, I (1965), pp. 79-90; TURNER, Michel Jerry, 1975. Les Brésiliens – The Impact of Former Brazilian Slaves upon Dahomey, Doctoral Thesis, Boston University; VERGER, Pierre, 1953. 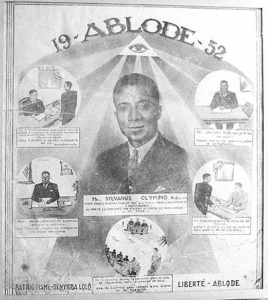 “Influence du Brésil au Golfe du Bénin”, Les Afro-Américains – Memoires de l’Institut Français de l’Afrique Noire, n. 27, pp. 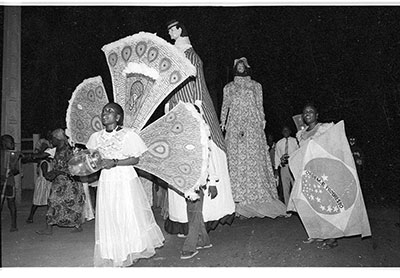 11-101, Dakar; 1968. Flux et reflux de la traite de nègres entre le Golfe du Bénin et Bahia de Todos os Santos du XVIIè. Au XIXè. Siècles, Paris/The Hague: Mouton & Co; 1992. Os Libertos, São Paulo: Corrupio. For more on the relationship between slavers and slaves, see MEILLASSOUX, Claude, 1986. Anthropologie de l’esclavage. Le ventre de fer et d’argent. Paris: Presses Universitaires de France. Sylvanus Olympio, the first president of Togo, regarded as the country’s founding father, was himself an Aguda. 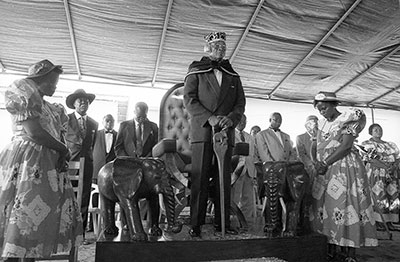 He was overthrown and assassinated on January 13, 1963, in a military coup that took General Étienne Gnassingbe Eyadema to power, beginning a decades-long dictatorship that only ended in 2005 with his death. The general was then succeeded by his son Faure Eyadéma, who is still in power. 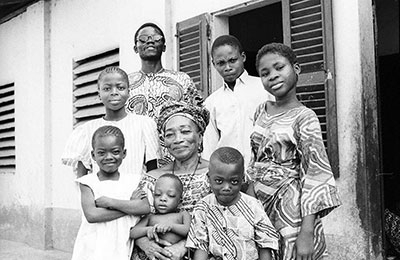 Since then, despite their integration in Togolese society, the Agudas have often been referred to as “foreigners,” which is reinforced by their association with other social groups that are effectively immigrants, hailing from a great many different countries and cultures. MATTOSO, K. 1990 . Ser escravo no Brasil. São Paulo: Brasiliense, p.34; VERGER, P., 1968, op. cit. pp140-1. GURAN, op. cit. pp 21 on. VERGER, op. cit. ; GURAN, op. cit. ; COSTA E SILVA, A., 2004. Francisco Félix de Souza, Mercador de Escravos. Rio de Janeiro: EDUERJ-Editora Nova Fronteira; and LAW, op. cit. LIMA, Mônica, 2008. Entre margens: o retorno à África de libertos no Brasil, 1830-1870, Doctoral Thesis, Universidade Federal Fluminense; REIS, João José, 1987 . Rebelião escrava no Brasil – A história do levante dos malês (1985), São Paulo: Brasiliense; VERGER, 1968, op. cit. The situation became critical with the passing, on August 8, 1845, of the Slave Trade Act, also known as the Aberdeen Act, which granted the British navy powers to attack and seize any vessels suspected of being involved in the slave trade to Brazil, thereby legalizing, in their eyes, a decades-long practice. 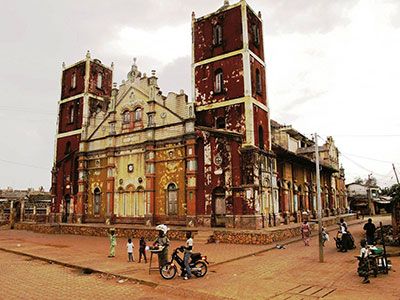 The first formal school in the region was set up in 1862 by the Catholic Mission of Lyon in Ouidah, but it was geared exclusively towards the Agudas, with the lessons being taught in Portuguese. The subjects of Dahomey were prohibited from frequenting it (GURAN, op. cit. p. 17). BARTH, Fredrick, 1995 . “Les groupes ethniques et leurs frontières”, in: Poutignat & Streiff-Fenart, Théories de l’éthnicité, Paris: PUF; CUNHA, M., op. cit. Cf. RASSINOUX, Jean, 1987. Dictionnaire Français-Fon, Saint-Etienne (Fr. ): Imprimerie Dumas; and SEGOUROLA, R. P. B., 1968 . Dictionnaire Fon-Français (2 vol. ), Cotonou. See also BRAGA, J. S., op. cit; and CASTRO, Y. P. op. cit. 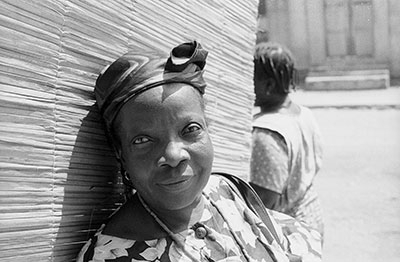 The continued use of Portuguese words and expressions by Agudas in Benin and Togo is being studied in a research project called Portuguese and Brazilian Expressions in Benin and Togo, part of a larger project entitled Sounds and Images of Memory: Narratives and records of Afro-Brazilian identities and alterities in the nineteenth and twentieth centuries. A more complete ethnography of these celebrations can be found in Guran, 2000, op. cit. COSTA E SILVA, 1989 a; and RODRIGUES, op. cit. These and other dishes are described and their respective recipes are given in the manuscript by Alexandre de Medeiros (op. cit.) and in SANVI, Anne-Marie Clementine, 1977. Les métis et les Brésiliens dans la colonie du Dahomey 1880-1920, Master’s Dissertation, National University of Benin, Cotonou. GURAN, op. cit. pp 85-7; VERGER, 1002, op. cit. Interview with François de |Medeiros, June 28, 1996, in Paris. In his 1887 work, Elisée Reclus observes that “in the families of color (Aguda), marriages between relatives, even between brothers and sisters of different mothers, are very common and opinion does not shun them” (cited by Verger, 1953:12). Eleven of Francisco F. de Souza’s twenty daughters listed by Souza (op. cit.) married an Aguda in their first or second marriage. There are also many recorded cases of consanguineous marriages, namely: four children with uncles/aunts or cousins, three children with nephews, seven with brothers/sisters, and one case between a father and daughter. Interviews with Émile Poisson, September 23, 1995, in Pahou; Rachida de Souza, August 27, 1995, in Cotonou; and Francisca Patterson, February 12, 1995, in Porto-Novo. Francisca Patterson was herself arrested by this regime, along with many other “Brazilians,” and charged with counter-revolutionary activities. 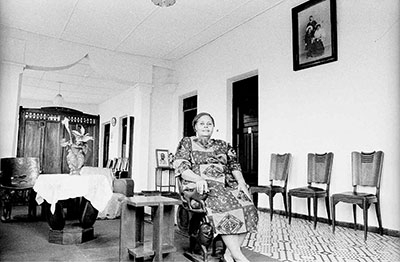 Interview with Rachida de Souza, September 27, 1995, in Cotonou. A selection of photographs and documents organized into different themes.